The water temperature has been reaching about 65⁰ F. The weather has been a mix of warm days and rainy days with the temperatures in the high 50’s and 70’s. Water clarity is very good. 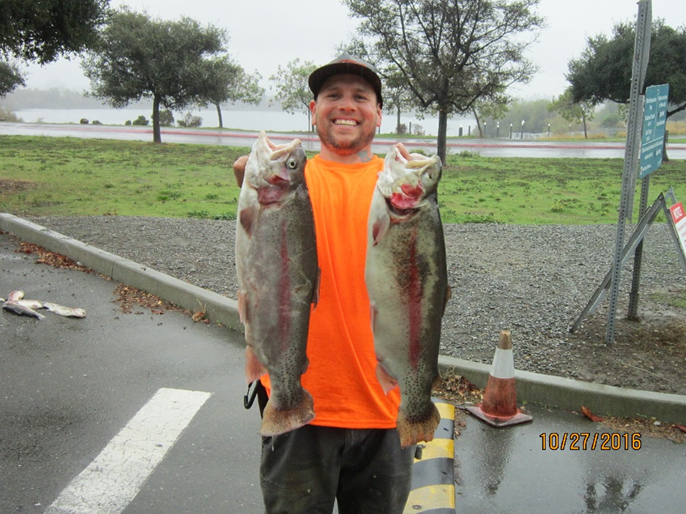 On 10-24-16, Tony of Livermore caught an 8lb. trout while fishing off of the Stanley Shoreline using a kastmaster. On 10-24-16, three trout were caught off of the Stanley dock on power-bait.